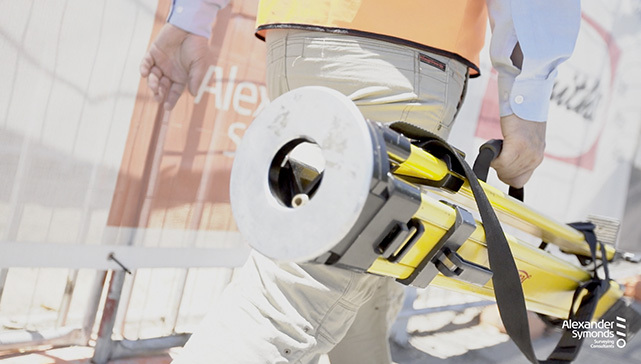 Boundary identification and detail surveys are essential for residential construction and land development. No matter the project, our qualified surveyors can deliver fast, accurate surveys tailored to your needs. 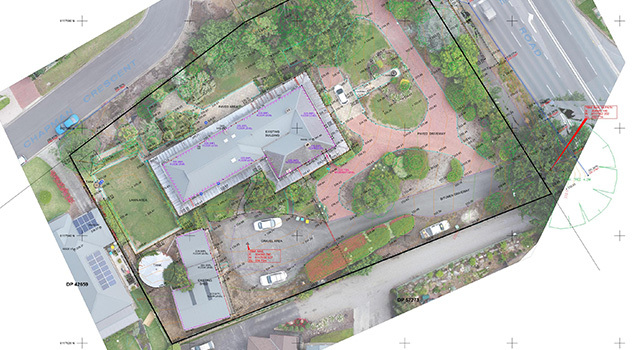 We provide a range of world-class residential survey solutions to help you get the right information before you create an easement, build a new fence, subdivide or start construction, saving you costly delays in the long run. We approach every project with an understanding of our client’s needs for timeliness, accuracy and value, and tailor our expertise and solutions to fit. Boundary identification surveys are performed to identify the location of existing boundaries and their relationship to existing structures. If you are starting construction for a new building, fence or any other structure on or near your boundary, a licensed surveyor from Alexander Symonds can physically mark out the boundary of your land to help you build in the right location. All our boundary identification surveys come with an identification certificate signed by a licensed surveyor. If you are in a dispute with a neighbour about the boundary location or encroachments on your land, you can also engage an Alexander Symonds surveyor to identify and mark where the true legal land boundaries lie. Detail and contour surveys (also commonly referred to as site surveys or feature surveys) map the location of features and levels of your land. This can include the location of existing structures, site levels and contours, trees, vegetation and services. Architects and engineers will need a site survey before they begin concepts and detail designs. Local Councils may also require this survey to understand how your development will affect surrounding properties. Whether you’re looking to renovate or build a new home, we can design and deliver a tailored, affordable survey solution to meet your specific requirements and goals. We’ll respond within 24 hours with a detailed outline of the survey process, recommended scope of works (if required), estimated timeframes and costs. Once the quote is accepted, we’ll undertake a search of government records and for the Certificates of Title to allow us to re-establish boundaries. We’ll perform a field survey to re-establish boundaries and locate features relating to an existing property. If required, we’ll place survey marks to show the location of your boundaries. We can also undertake a detail and contour survey at this time. We’ll perform necessary calculations and prepare 3D CAD and PDF survey plans to allow for concept and detailed designs to be completed. You will receive a boundary identification certificate, certified by a Licensed Surveyor. If required, we can return to the site to place survey marks for construction. These could be boundary identification marks, or marks to assist with the set-out of new buildings or retaining walls. Our team have a wealth of knowledge on cadastral, detail and contour surveys and how this data can affect your land development. We are client-focused and dedicated to providing reliable, accurate boundary, detail and contour surveys in a short turnaround period to keep your project on time and on schedule. Each piece of land is unique, and we tailor our survey services to suit your project’s needs. We’ll work closely with you to establish the requirements of your development early on so we can deliver the best value to you in the most efficient and seamless way. Need advice on boundary disputes or an accurate boundary identification or site survey for your land? Start your project with the right information and avoid any costly delays or nasty surprises when it comes to construction time.